For some time now I have been privileged to have my entire system hooked up with the wonderful cables from High Fidelity Cables. 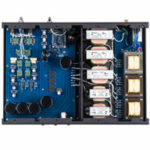 I have already written about the CT-1 and CT-1E interconnects. Rick Schultz, owner of HFC, was a little slower getting the speaker cables out. 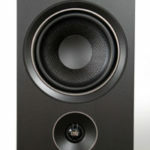 This review is of the CT-1 and CT-1E (Enhanced) speaker cables. 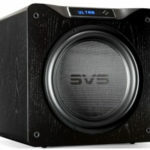 Let me start by saying that as good as the interconnects are, you haven’t heard what your system is fully capable of until you hear it with the speaker cables as well. 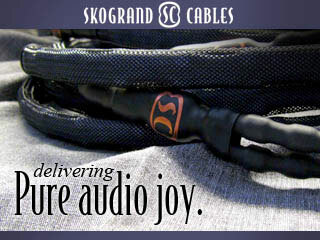 The speaker cables look very much like the interconnects, that is elegant, understated, with the larger-than-normal connectors that house the magnetic structure of these cables. I think getting the magnetic conduction technology all the way through the system makes a big difference in how your equipment is affected by the signal. 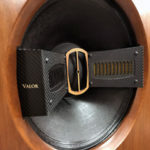 For this review I used a CT-1E phono cable from my AMG V12 turntable to the Shindo preamp, a run of CT-1E from the preamp to my Wavac EC-300B, then a run of CT-1 speaker cable and last, a run of CT-1E to the Teresonic XR Silvers speakers. This review took place when I was still auditioning the Soundsmith SG-220 strain-gauge cartridge/phono preamp. I used three different cartridges during this time. With the Miyabi Standard or the Benz Ebony TR, I also used a half meter of CT-1E between the Auditorium 23 Homage T1 step-up transformer and the Shindo preamp. 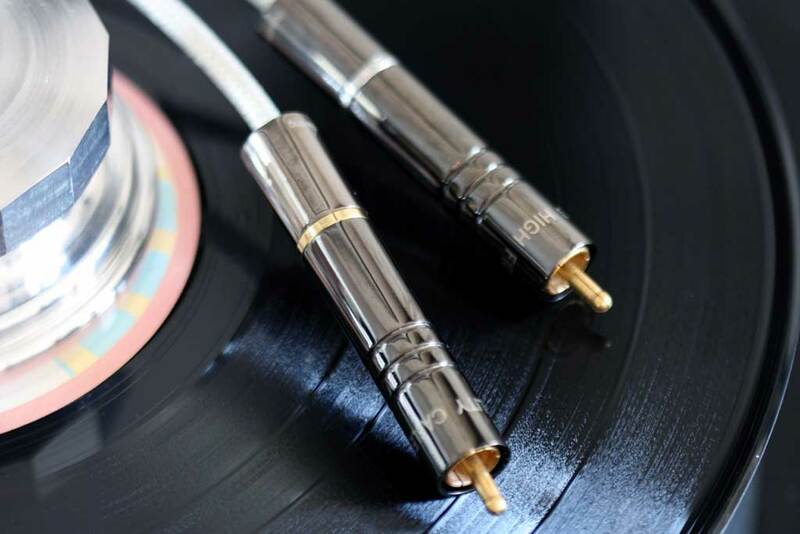 With the High Fidelity Cables installed throughout the system, it was much easier to hear the differences in these three cartridges than it was with just the CT-1E interconnects. Even as layman as I am, since my first review of this technology I now have a sense of how the use of magnets in the design could influence the flow of the electrons through the wiring. This should and to my ears did increase the amount of musical information I heard. I experienced more dynamic contrasts, more separation and space and way more of the ambiance in which the music was taking place. Partly, this came from their remarkable ability to capture the leading edge of transient attacks. These cables let you hear more deeply into the performance and the music. They allowed my system to create an even greater sense of aliveness. As I mentioned earlier, adding the speaker cables did more than complete what the interconnects started. They let me hear even more of what the CT-1E interconnects and the rest of your system was capable of. The effect was rather amazing in that I think someone might initially think I had added almost an extra octave to the treble and bass of the Teresonic single driver speakers. They achieved this effect and at the same time produced a smoother, fuller, and bigger sound. All this sound resulted in a solidity and ease that was, simply put, very lifelike. 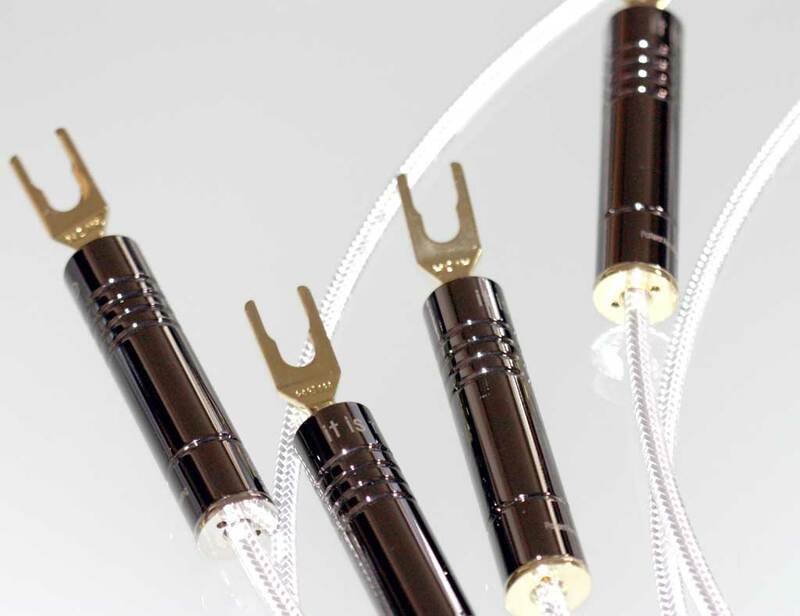 The speaker cables allowed the powerful macro-dynamics of the interconnects to become even faster and more powerful in my system. As a result, my system had the most alive and fastest micro-dynamics it has ever had. The transient response was lightening quick, but smoother and fuller with almost perfect timbre. Drums, tympani instruments, plucked strings, and pianos were spot on. With all High Fidelity Cables in my system, the soundstage was better than I ever dreamed possible. The amount of information that flowed through these cables provided mental cues that let me hear things very precisely on the soundstage. This same incredible amount of information let the scale of the soundstage go from tight and small to simply life-sized. This effect of hearing the soundstage and power of a performance grow from something small to something huge was simply amazing. One of the things that most impressed me about Rick’s cable was how they let my system perform up to its potential. Of all the amazing things about the Wavac EC-300B, the most amazing to me was the way it handled dynamic scaling and micro-dynamic aliveness. With the High Fidelity Cables in my system it did this at a whole new level. With Rick’s cables throughout my system voices and instruments took on a three-dimensional presence that quite honestly has to be heard to be believed. Combining these cable with the addition of the latest Soundsmith Strain Gauge cartridge and it went way beyond anything I ever dreamed. There was one thing I would like to emphasize again. With these cables in my system the space of the recording was more readily obvious. This was true whether listening to a live performance or the space and microphones of the studio.